True freshman Jake Fromm stepped in and led Georgia to the No. 1 national ranking, the SEC championship and to the national championship game during a season he was named SEC Freshman of the Year. According to Adam Jude of the Seattle Times, Eason is expected to transfer to the University of Washington. 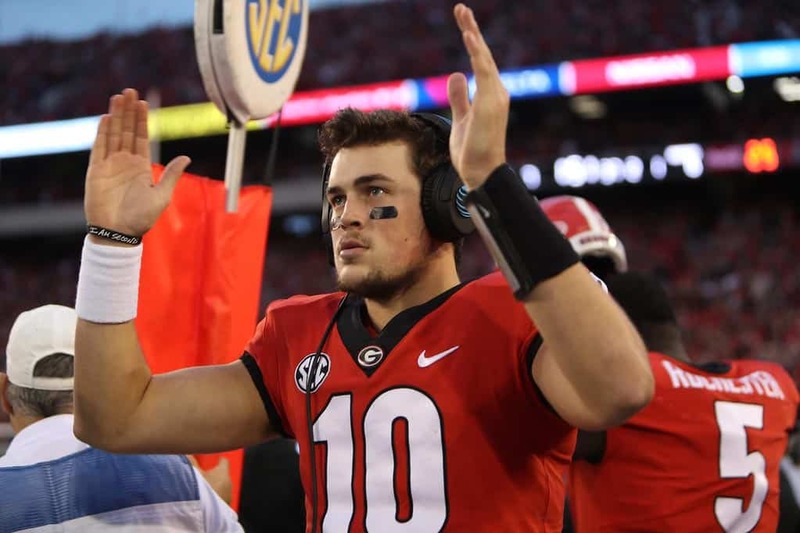 Jacob Eason started the 2017 season as Georgia's starting quarterback, but a knee injury in the season opener opened the door for true freshman Jacob Fromm. With Fromm holding down the starting gig and incumbent 5-star quarterback Justin Fields who signed with the Bulldogs last month, Eason decided it was time to walk away from the Dawgs. The expectations is Eason will return home to play for the Washington Huskies. That would also work in Eason's favor, as per NCAA rules he would have to sit out a season. He'll have to sit out the 2018 season in Washington and will have two years of eligility remaining starting in 2019. As a freshman, Eason threw for 2,430 yards, 16 touchdowns and eight interceptions. Eason did not address where he would play next in the tweet he sent out Friday afternoon. The Huskies brought in not one but two four-star quarterbacks in their 2018 recruiting class in Jacob Sirmon and Colson Yankoff. The Georgia gunslinger from nearby Lake Stevens, Wash., hasn't even scratched the surface yet, but learning the system for a year as a transfer would be huge for the Huskies if he were to take over in 2019. A dual-threat quarterback, Fields announced he plans to enroll at Georgia this winter, allowing him to participate in spring football. Jacob Eason's time at Georgia is over. The Bulldogs then finished the season with a national championship berth. He completed 69.5 percent of his passes and averaged almost 276 yards per game.